Are you sending mixed signals to your children? Do you have questions about how your partner handles certain situations with the children? Do the children know which of you to go to get what they want? If you answer yes to any of these or are unsure about them, then you should get this unique comparative analysis of your parenting styles. This will give you an objective look at your usual mindset when dealing with different parenting situations. You will see the areas in which your approaches are different and decide how to proceed. You can jointly agree if there is need for adjustment and how that should be achieved. This exercise will bring you closer together and eliminate some areas of potential conflict. Take this important step to improve relationships among parents and children and between spouses. 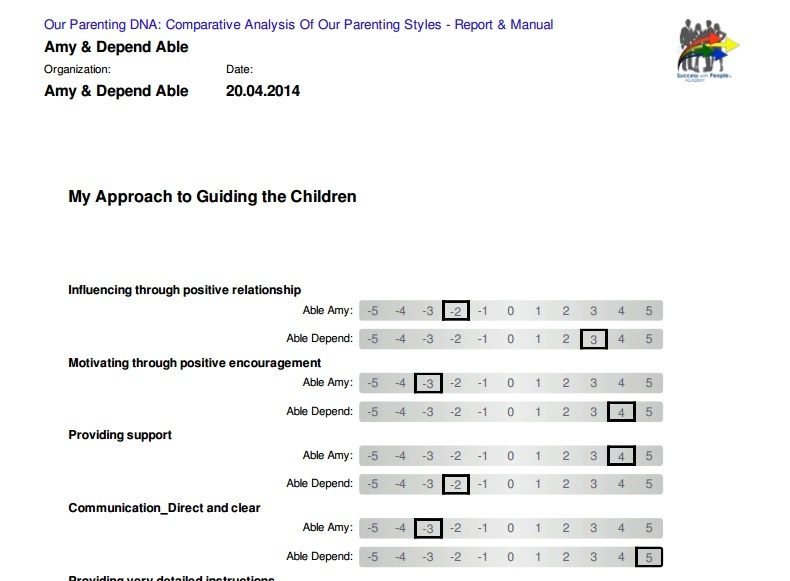 Get your Parenting Styles Report now! We are keen to learn more about your parenting issues.